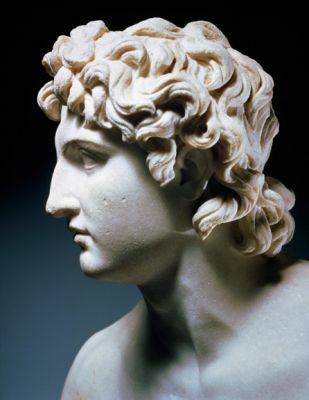 The empire may not have lasted, but the Hellenistic culture that started with Alexander did. As in the time of Pericles, great thinkers of the Hellenistic Age changed people's understanding of the world. Alexandria, Egypt, became the leading center of learning in the Hellenistic world. The huge library at Alexandria contained more than 500,000 scrolls, rolled-up sheets of papyrus with writing on them. The goal of its librarians was to collect every text in the world! Connected to the library was a building known as the Museum. There scholars wrote books and exchanged ideas. Today museums are places that preserve history and offer knowledge. Hellenistic teachers worked out new ideas in mathematics. Euclid (YOOkluhd) of Alexandria, Egypt, conducted the first work in geometry, the study of lines and angles. Archimedes (ar»kuh»MEE«deez) of Syracuse, on the island of Sicily, used mathematics to build many useful machines. Hellenistic scientists also made use of mathematics as they began to think about the universe. For example, Aristarchus (air»uh»STAR»kuhs) used mathematics to discover that Earth moves in a path around the sun. Hellenistic scientists built on the knowledge of medicine that Hippocrates had introduced. Alexandria, Egypt, became the center for the study of medicine and surgery. Doctors there learned that the brain was the center of the nervous system. Scientists of the Hellenistic period also focused on the study of geography. They not only improved the way maps were drawn but also made new discoveries about the Earth. 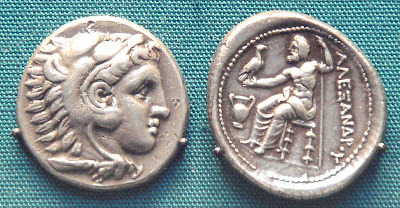 By 146 B.C. another group of people, the Romans, had grown strong enough to gain control of the Mediterranean world. But the knowledge the Greeks had gained was not forgotten. The Romans borrowed from the religion, art, architecture, philosophy, and language of the Greeks to build their own civilization. For many years after the Romans took control, Alexandria, Egypt, remained a center for Greek medical learning. What city was considered the center of learning during the Hellenistic Age?